EXperience The Beauty of Indonesia ! After re-examining data acquired by the Voyager 2 spacecraft, astronomers have detected wavy patterns in two of Uranus’s dark system of rings—patterns that may be indicative of two undiscovered moons. Like the other gas giants in our solar system, Uranus features a ring system, though it’s not nearly as spectacular as the one around Saturn. And like the other gas giants, Uranus hosts a batch of natural satellites—27 to be exact. New research suggests this number might have to be revised; data collected by Voyager 2 during its historic 1986 flyby hints at two undiscovered moons lurking around a pair of Uranus’ rings. 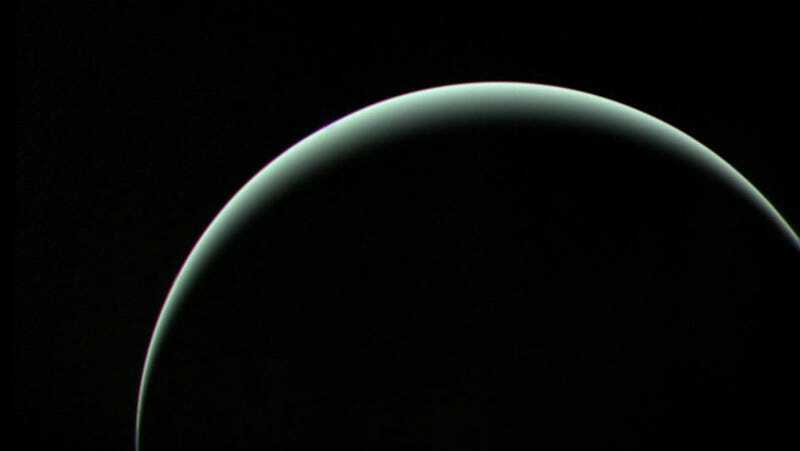 Uranus is almost 20 times farther from the sun than the Earth, making direct observations difficult. Voyager 2 found 10 moons when it visited the planet in 1986, tripling the number of moons known to orbit the gas giant. But it appears the probe’s satellite-hunting days aren’t over just yet. Planetary scientists Rob Chancia and Matthew Hedman from the University of Idaho recently revisited Voyager 2’s old data, and they noticed something peculiar in two of Uranus’ 13 rings, Alpha and Beta. The two rings exhibit a series of wavy patterns consistent with the presence of two tiny moons. “These patterns may be wakes from small moonlets orbiting exterior to these rings,” write the researchers in their study. 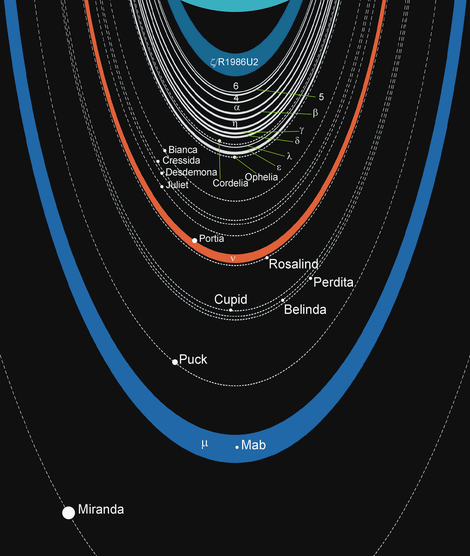 Importantly, these observations are consistent with how Uranus’ other moons, such as Cordelia and Ophelia, are exerting gravitational pressure on the dust, rocks, and ice within the rings, herding the particles along a narrow formation. If these moons exist, they’re quite dark and very tiny, measuring a mere two to nine miles (four to 14 km) across. That would make them smaller than any other known moon to orbit the planet, which explains why Voyager 2 wasn’t able to detect them directly. Armed with this possibility, the researchers are planning to inspect Uranus with the Hubble Space Telescope. Failing that, we could always send a new space probe. It’s been three decades since our last visit to Uranus, after all. Previous Previous post: Decades-Old Mystery Put To Rest: Why Are There X’s In The Desert?